Kratom is made from the leaves of the Mitragyne Speciosa tree. This tree grows mainly in Southeast Asia. The quality of kratom depends on a number of factors such as sunlight, age of the trees, time of harvesting, harvesting method, soil etcetera. The age of the trees. The leaves of older Kratom trees generally carry a higher alkaloid content compared to leaves from younger trees. Wild or plantation grown; Leaves from trees harvested in the wild Jungle generally are of a better quality compared to leaves harvested from plantation grown trees. Reasons for this can be the age of plantation trees (generally young trees) and the use of many types of chemicals and pesticides on plantations. Time of harvesting and weather conditions during the harvest are also important for the quality of the end product. When processing the leaves into kratom powder, the stem and veinds of the leaves are removed. Stems and veins can be greined into powder and sold as such (stem and vein powder). However the alkaloid content in veins and stem is believed to be much lower then in the pure leaves. Or better said there is less of the basic alkaloids in the stem and vein powder. The composition of the stem and vein might be different. This is why the effects from using the stem and vein powders are not as powerfull as effects from kratom made from the pure leaves. We only sell kratom powders made from pure leaves, no stem and vein powder. We do sell Stem and Vein powder (sometimes when in stock) as a seperate product aka stem and vein kratom. 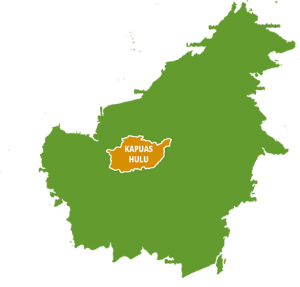 Most of our kratom comes from the “Kapuas Hulu” (kabupaten) area. Kapuas hulu is the northeasternmost part of West Kalimantan. Where large parts of West Kalimantan (especially the lower parts around Pontianak have been cleared of forest, the Kapuas Hulu area is still predominantly forested. Kapuas Hulu is part of the so called “heart of Borneo” and because of that more than 70% of the area is under protection. This means that still large parts of this province are covered with pristine rainforest (old growth forest). This also means that there are very many (old) kratom trees in this area that cannot be felled but that can be used for harvesting kratom leaves (but only sustainably) by the Iban farmers who own their parts of the forest and who sell the leaves to my suppliers who are based in the town of Sintang. I traveled already quite a few times to this area and in my opinion it is probably the most beautiful area in all of Kalimantan (perhaps even in all of Indonesia). Many locals claim that this area has the best and most potent kratom in all of Indonesia. The effects of kratom depend on the used dosage, the kind of kratom used and the person that takes the kratom. A low dose of the red and green kratom strains will usually be stimulating while a high dosage will mostly be sedative, Red kratoms will usually be sedative in low to moderate dosage and even more so in higher dosage, However this depends on the individual. Deze kratom usually contains a higher concentration of 7-Hydroxymitragynine. This is an alkaloid with an opioid agonistic activitity. This alkaloid is said to be responsible for the euphoric, relaxing, soothing and pain killing effects that people feel when using red kratom. Deze kratom contains a higher concentration of Mitragynine. 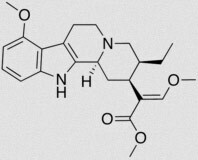 This is an indole alkaloid which is the most common alkaloid in kratom. The effects of this alkaloid are more energetic and stimulating. This kratom can be useful for people who want to be active for a longer time and more concentrated. Green vein kratom is a kind of middle road between red and white. It has a higher concentration of 7-Hydroxymitragynine compared to white kratom but lower then red kratom. Both the effects one feels when using white and red kratom can be felt when using green vein. When you use green kratom you can for instance feel relaxed and at the same time energetic .